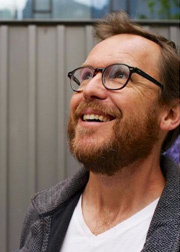 Christopher Noxon is an author, journalist, and illustrator. He’s the author of the novel Plus One (2015), which “Mad Men” creator Matthew Weiner called “well-observed, honest, and laugh-out-loud funny.” He also wrote Rejuvenile: Kickball, Cartoons, Cupcakes and the Reinvention of the American Grown Up (2006), which Ira Glass, host of public radio’s This American Life, called “an eye opener.” This book was featured in the Wall Street Journal, USA Today, The New York Times, CNN’s “In the Money,” NPR’s “Talk of the Nation,” and Comedy Central’s “The Colbert Report.” As a journalist, he has written for The New Yorker, Details, The New York Times Magazine, Los Angeles Magazine, and Salon. His illustrations have been featured on the websites The Undo List and Modern Loss and in the book Unscrolled: 54 Writers and Artists Wrestle with the Torah (2013). He lives in Los Angeles with his wife, television writer/producer Jenji Kohan, and their three children.